Based in the heart of the UK at the University of Nottingham, Nottingham Conferences represents unbelievably flexible event solutions. With 3 unique campuses easily accessible by road, rail or air, Nottingham Conferences can provide the ideal central location tailored to your requirements whether you’re looking to host a small meeting, a large residential conference or sporting event. A vast choice of the perfect meeting space exists within historic or award-winning modern buildings all complemented by state-of-the-art AV, free Wi-Fi and complimentary parking. Our accommodation offering too has something for everyone with 4000+ bedrooms available within Halls of Residence during Easter, summer and Christmas or year-round hotel accommodation in our two hotels on campus. Nottingham Conferences’ venues are based within easy access of Nottingham, at the heart of England and offering a wide range of restaurants, shops, hotels and sport and leisure facilities. Home to many leading UK companies, including Boots, Capital One and Experian, Nottingham was ranked sixth recently in the UKCMS by event organisers looking for a venue location. 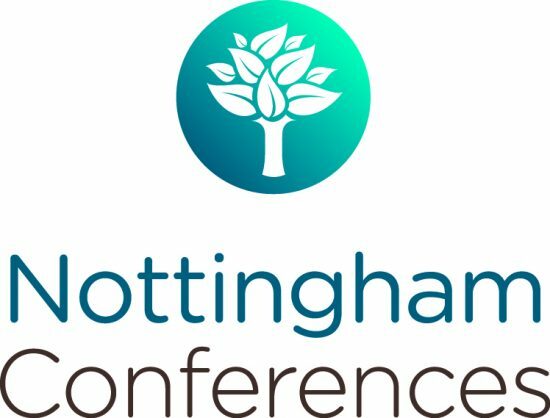 Nottingham Conferences represents three conference venues, based at The University of Nottingham; Jubilee Campus, University Park and Sutton Bonington. With over 25 years’ experience and a dedicated support team on hand, you can be assured that Nottingham Conferences is the educated choice for your next event. Our conference went extremely well. I think the Shadow Chancellor of the Exchequer, John McDonnell, was very impressed and who knows when he is The Chancellor in 2020, he might well remember the University of Nottingham.